GET THE PROOF NEEDED FOR TRIAL ! Attorneys and law firms constantly try civil cases in the courts and therefore always require the need to have concrete admissable proof or evidence obtained from due diligence or from a thorough civil investigation conducted by a licensed private investigator experienced in civil investigations. The Private Investigator or detective should have ample knowledge in court house research, video surveillance, obtaining interviews, due diligence , fact finding and more. Our Licensed Private Detectives work hand in hand with each attorney in efforts to assist them with their civil cases and obtain the objectives, facts and evidence required in efforts to assist them in building a rock solid case in an effective manner. In civil investigations a Professional Licensed Private Investigator conducts fact finding investigations to which a lawyer can apply the law. The Private Investigator is trained in civil investigation services such as interviewing persons, interrogating persons, video surveillance, evidence recovery , court house research, database research and forensic procedures in efforts to assists the lawyer in achieving the desired results for the lawyer and his client. The investigation result may be a favorable judgment, an agreeable settlement, or an amicable disposition. In any case, the prime responsibilities of the private investigator conducting the civil investigations is to locate and interview witnesses, locate and interview parties involved in the litigation, and locate any other evidence or facts directly connected to the case. Definition of a Civil Investigation? A civil trial is the complete opposite of a criminal trail. A civil investigation helps uncover and assemble the evidence and information required in a civil trail. In many cases, this type of court case involves two individual citizens who are disputing over an issue that relates to their rights as citizens. Example: if one person sues another for damages caused in an auto accident or a job-site work related accident, then this case will most likely be tried in a civil trial. It is then necessary to conduct a civil investigation in efforts to help gather the evidence that is essential to further make or break the case at trial. 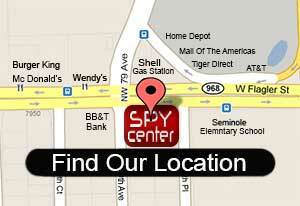 Visit our office today or contact us to speak with our licensed private investigator experts. Our Private Investigators can assist our clients in their litigation preparation. Our Private Detectives private work closely with our clients to analyze their unique situations and will always suggest the proper procedures and steps to take next. Our specially trained and licensed infidelity private investigators also work with your attorney and may always testify at trial about their investigation findings or civil evidence. Call our investigation company today for expert advise on how we may investigate your case. CONTACT US TODAY FOR MORE INFORMATION ON YOUR CIVIL INVESTIGATION CASE OR ANY ATTORNEY LITIGATION SUPPORT SERVICES. OUR LICENSED PRIVATE DETECTIVE AGENCY AND NETWORK OF LICENSED PRIVATE INVESTIGATORS ARE YOUR RESULTS ALTERNATIVE WHEN IT COMES TO CIVIL INVESTIGATION SERVICES. Hire Private Investigators in Miami Dade, Broward County, Fort Lauderdale, West Palm Beach, Kendall, Coral Gables, Homestead, Hallandale, Doral, Weston, Pembroke Pines, Davie, Miami Beach, Deerfield Beach, Port St Lucie, Delray Beach, Jacksonville, Orlando, Tampa, Naples and nationwide.